The November 9 event takes place inside Goiania Arena in Goiania, Goias, Brazil. Six fights will make up the main card, which airs live on Fox Sports 1 at 8PM ET/5PM PT. 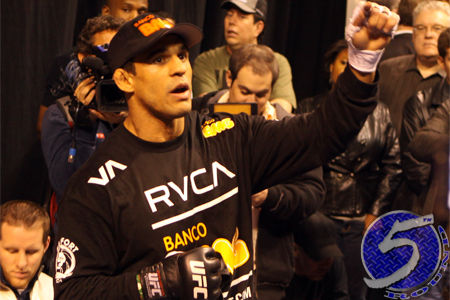 A critical light heavyweight shootout between Vitor Belfort (pictured) and Dan Henderson headlines the freebie fight card. Cezar Ferriera and Daniel Sarafian serve as the co-main attraction. The UFC’s Facebook page kicks things off by streaming the prelims live at 6PM ET/3PM PT.